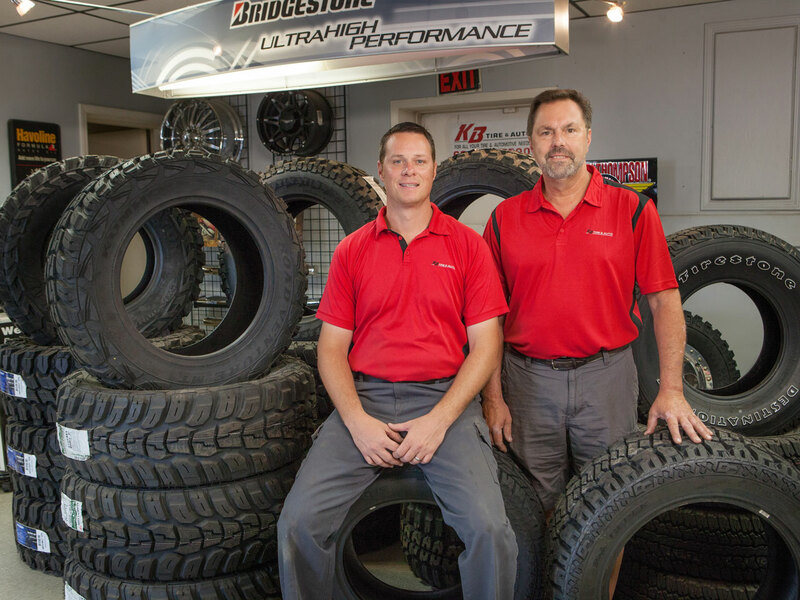 KB Tire and Auto provides auto and tire services in Moberly, Missouri. Our auto services include air conditioning, auto repair, auto glass repair, alignments, batteries and electrical, belts and hoses, brake service, computerized diagnostics, cooling system maintenance, CV and drive axles, electrical service, exhaust service, lift lower and leveling kits, nitrogen, oil change, radiators, scheduled maintenance, state inspections, suspension shocks and struts, tire repair and flat repair, tire rotation, transmission service, tune up and wheel balancing. We also carry the following tire brands in our shop: Bridgestone, Carlisle, Continental, Cooper, Dunlop, Falken, Federal, Firestone, Fuzion, General, Good Year, Hankook, Hercules Tires, Kelly Tires, Kenda, Kumho Tires, MasterCraft, Michelin, Mickey Thompson, Nankang, Nexen, Riken, Starfire, Sumitomo, Toyo, Uniroyal, and Yokohama. When you vehicle has a problem, or needs routine maintenance, it’s crucial to have an expert mechanic work on you car. We are happy to offer free service quotes and assessments before you make a decision. Taking care of our customers and providing safe services are our top priorities.